Thanks to everyone that made it to the June edition Craft Market and to all the friendly and talented designer makers that made it so special. We hope you had a good day. If you didn't make it down to Beautiful Interiors this is what you've missed...a stunning summers day filled with gorgeous hand made craft,lots of lovely shoppers,jugs of refreshing Pimms,luscious cakes and lots of merriment in a warm secluded suntrap plus the huge fig tree provided much needed shade...it was almost like being in the med! The lovely ladies from Papered Parlour have asked us to help give them a shout out...they're up for a grant and in order to win it they need your help. 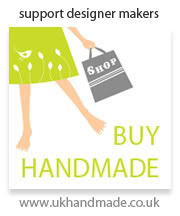 Please vote for the Papered Parlour a new independent craft venue for London! Tucked down an alley in the heart of Clapham, the space is decked out as a parlour - a home from home where they run workshops host performances and put on exhibitions. Inhabited by artists, designers, musicians and theatre practitioners, they also have an on site artist’s studio and a beautiful gallery space available for parties and hires. Set up in 2009 by two young visual artists, our varied programme of events reflects their desire to create incredibly engaging arts events that you can get involved in. 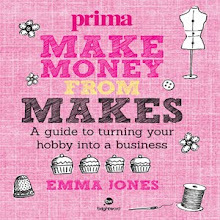 It's out and available to buy in our web boutique! You can either purchase a hard copy or if you're environmental buy it as a PDF file. Printed on lovely pink paper this guest designed summer zine edition is a little gem of a read. Jo Spencer of Soupa design collective called on her illustrator friends and created a WOWZER of an edition of our little zine. 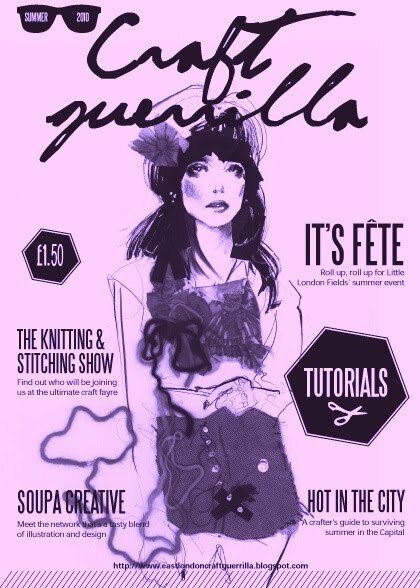 Packed with interviews,features,beautiful illustrations and tutorials it will no doubt provide some inspiration to making your summer a very crafty one! Go on go do a little bit of Guerrilla shopping! East London Craft Guerrilla proudly present the following designer makers chosen for your hand made pleasure and shopping detectability! We're getting close to our first 1000 followers and to celebrate we'll be giving that lucky so and so a very special give away. "Re Tweet" our details on Twitter and get your friends to join and you never know someone might be going away with a very lovely hand made prize! 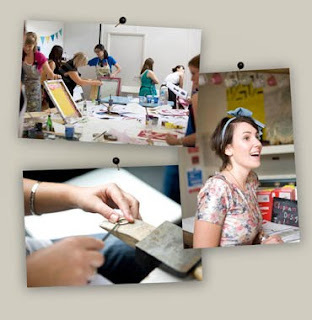 July mini workshop...bookings now open! At our July's D.I.Y. Craft Night mini workshop the talented Zeena from "heart Zeena" will be holding a very special tutorial for Craft Guerrilla at our usual venue "Ye olde Rose & Crown". Mini work shop starts at 9pm on Thursday 8th of July. Pre booking is advised as there are limited spaces. Create your own patchwork keepsake using stitching techniques such as cross stitch, applique and quilting to make your very own craft guerrilla memory. You will create your own patches using a selection of vintage, found and heart zeena hand screen printed fabrics that you can use to make cushions, lavender bags, pin cushions or even to start off your own quilt. This workshop has 10 places and costs £8 per person and includes all materials and equipment. To book your place please contact Zeena directly: heartzeena@googlemail.com to book a place. No not us gals...no we'd never go under the knife! OK never say never, I hear you, we're pretty happy with our young looks but in fact I'm talking about the blog, silly! We'll be sprucing it up to make it look even more "purddy"! As summer's here we're all bright eyed and bushy tailed so we thought our little blog should reflect just how we feel. So as you return for a visit you might just notice a new background, new link buttons, a different version of the header banner and also one or two new authors to the East London Craft Guerrilla blog. I will be doing it in stages so it's not finished yet...but I'll get on to it pretty soon! We love gorgeous handmade items so I thought I'd share my latest find with you. Wear That There are handmade necklaces designed and made by local Hackney girl, Clare O'Driscoll. It's a perfect gift - choose words that mean something to your friend / mum / girlfriend / whoever. We will shortly be adding new products, and new options for these necklaces including star stamps, charms, etc. Contact us at clare@wearthatthere.com if you need any more information! I'm eagerly awaiting my custom designed rollergirl name necklace - Clare has done me a special bespoke design with two tags, the first one printed with my skate name Trixie Minx and the second tag with my league, the London Rockin' Rollers team song lyric: "I love rock 'n roll"! Check out her website at www.wearthatthere.com. 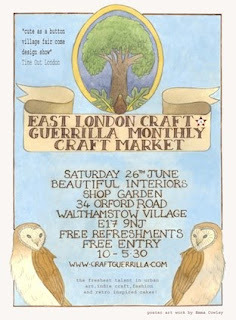 We may be the East London Craft Guerrilla but we have crafty connections all over the place and we love to tell you about opportunities for promoting craft in all parts of town - and indeed, the country! If you're a South London based crafter (or if you don't mind traveling across town) and are looking for outlets to sell your work then this could be just what you're looking for. We are a small, established group of artists and crafts people joining together to work as a co-operative, enabling us to sell our work directly to the public without the personal commitment to full time selling. 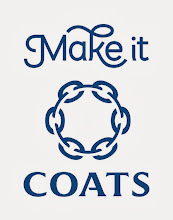 We offer the opportunity to display and sell your craft within an established environment with like minded people. To join us we require samples of your work, with prices, for consideration at our monthly meetings. All works must be original and made by yourself. Unit space available: Width 80cm. Depth 50cm. Height 2 metres. Rent per unit: £62 pcm plus 10% of all sales. You will be required to work approximately two days per month. This will include weekend and bank holidays as necessary. Although a degree of flexibility is possible. Please note that the initial training is at the weekend. To enable the Gallery to run you will be required to participate in some way with the ‘behind the scenes’ work. During the initial 6 month trial the notice period is one month. After acceptance as a member the notice period is two months. On becoming a member a one off fee of £25 is payable to the Gallery. Spread the word crafty people! These lovely people are holding a fab vintage fair and if you're making vintage or retro craft then visit the web site and/or contact Laura on 077969 66805.
ware, home wares and gifts. Vintage plates and cup cakes! 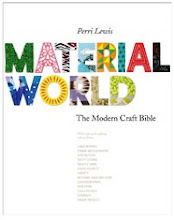 We're thrilled to announce that we will be writing a craft book. 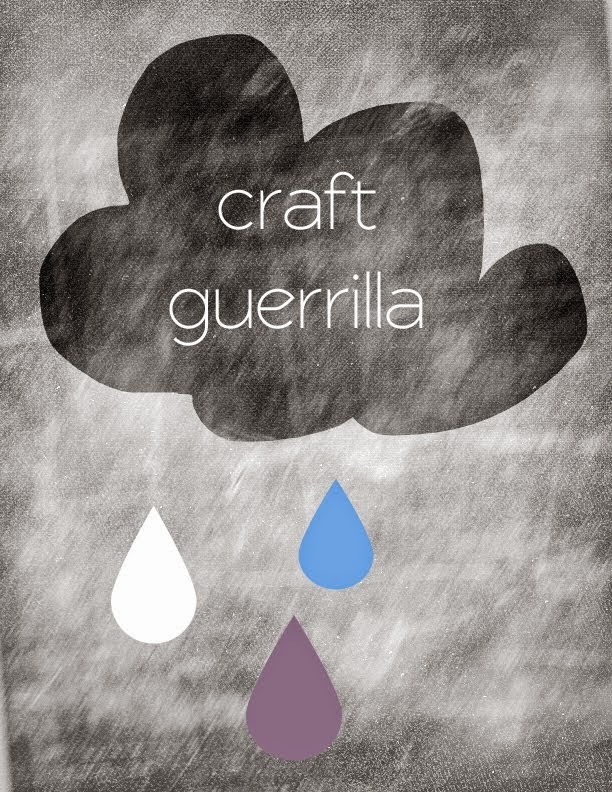 Yes,Craft Guerrilla have signed their first book deal! 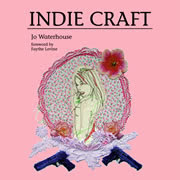 We signed the contracts on Saturday and its due to be released late Summer 2011. Watch this space for more details! Their moving today to their own brand spanking new place on Columbia Road and we wish them all the luck in the world. Can't wait to go and review their new shop!!! We love their mix of eclectic, vintage and quirky accessories...if you're looking for something unusual now you know...shop at "jessie and buddug"!